Anthony Horowitz’s second James Bond novel using original material by Ian Fleming will be published on Thursday 31 May 2018, it is announced today. 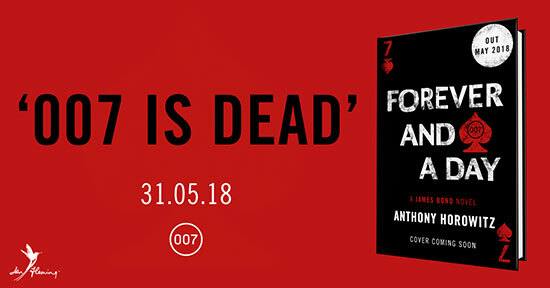 'Forever and a Day' is a prequel to 'Casino Royale', Fleming’s first 007 novel, and will explore the origins of the world’s most famous secret agent. The sea keeps its secrets. But not this time. One body. Three bullets. 007 floats in the waters of Marseille, killed by an unknown hand. It’s time for a new agent to step up. Time for a new weapon in the war against organised crime. It’s time for James Bond to earn his licence to kill. This is the story of the birth of a legend, in the brutal underworld of the French Riviera. 'Forever and a Day' will be published in the UK by Jonathan Cape – Ian Fleming’s original publisher and an imprint of Vintage Publishing. ‘I couldn't have been happier when the Ian Fleming estate invited me back to write a second Bond. 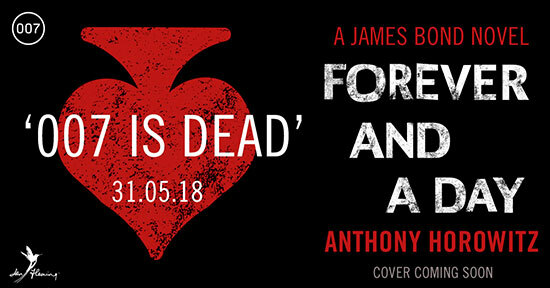 I very much enjoyed writing 'Forever and a Day', exploring what might have been Bond’s first mission and imagining some of the forces that might have turned him into the iconic figure that the whole world knows. I hope Ian Fleming would have approved,’ remarked Horowitz.